Last week, I was able to jailbreak iOS 4.1 on iPhone 3G using RedSn0w for Mac user. 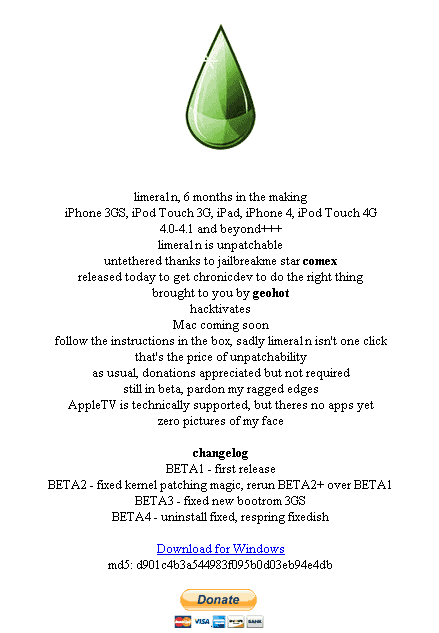 However, a friend told me that GeoHot released his new LimeRa1n jailbreaking tool. I tried to run it for my iPhone even if it is still in its beta version. Nonetheless, the jailbreak was successful and my iPhone is functioning the way it did. So, I guess I got to share this with you. Here is the step-by-step tutorial on how to jailbreak your iPhone using LimeRa1n. Developed by GeoHot, also the developer of the BlackRa1n, Lime Ra1n was released to jailbreak more devices and uses different bootrom-level. Unlike other jailbreaking tools, this one does not rely on SHAtter exploit. 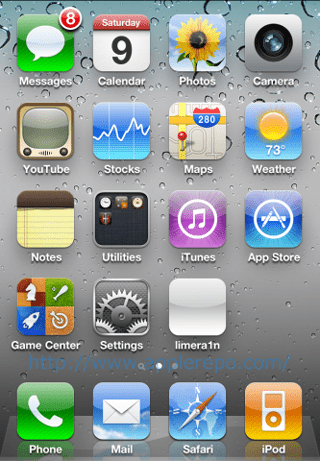 It is developed even better to jailbreak iPhone 3GS, iPhone 4, iPod Touch 3G and 4G, the iPad and even AppleTV 2G. LimeRa1n is an iPhone jailbreaking tool and not an unlocking tool. Do not upgrade to iOS 4.1 if you rely on UltraSn0w to unlock your iPhone. It does not support the beta versions of iOS. It only supports iOS 4.0, 4.0.1, 4.0.2 and 4.1. With LimeRa1n, the jailbreak will be untethered. As of this writing, LimeRa1n is available for Windows users only. Soon, GeoHot will release a version for Mac. 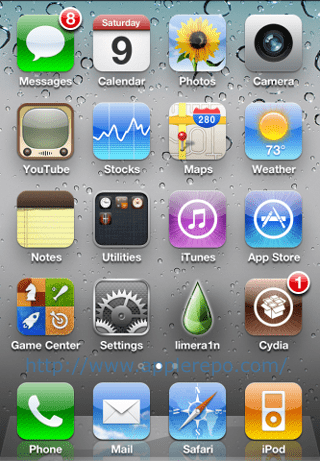 One of the known bugs is that Cydia will not appear after jailbreak; you have to reboot your iPhone to be able to find Cydia icon on the Springboard. Use your browser (Chrome, IE, Firefox) to navigate through http://www.limera1n.com/. There’s nothing much on that website but a link to download LimeRa1n. 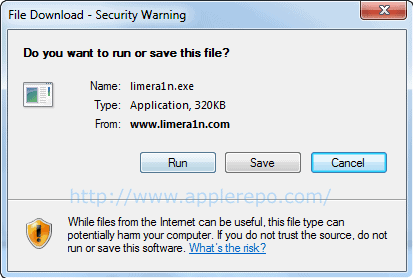 You can Click Here to download LimeRa1n for Windows. Just by clicking on the link on its official website, you will be prompted if you want to Open, Save or Cancel the download. Choose Save to download the small program into the directory you can easily find. You just have to double-click it to launch. For beginners, right-click on limera1n.exe and click Open to launch the application. This is the start of iPhone jailbreak process. Just click on the sole and big “make it ra1n” button. You’ve got to release the Power button when LimeRa1n tells you so. After such steps, your iPhone will now be on DFU mode and LimeRa1n will do its exploits. 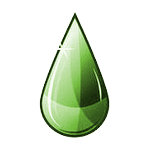 As it is performing the jailbreak process, you will see an image of a raindrop on your iPhone screen. When the jailbreak is done, a window will pop up and tell you that the process is complete. Turn your iPhone on. After which, you will be able to find the limera1n icon on your Springboard. Tap on it to launch. 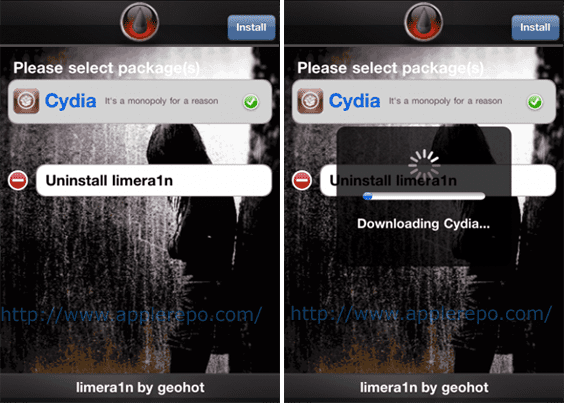 You have to install Cydia package after you’ve launched limera1n. After the installation, you have to REBOOT your iPhone. After which, feel free to run Cydia and let it do the updates that your iPhone needs. So far, that’s how I did the iPhone jailbreak using LimeRa1n. I hope this tutorial can help you too.